Vintage Anatomy. This prints comes from a salvaged old anatomy text. The pages have been scanned in, cropped, and retouched to ensure the highest quality reproduction possible. 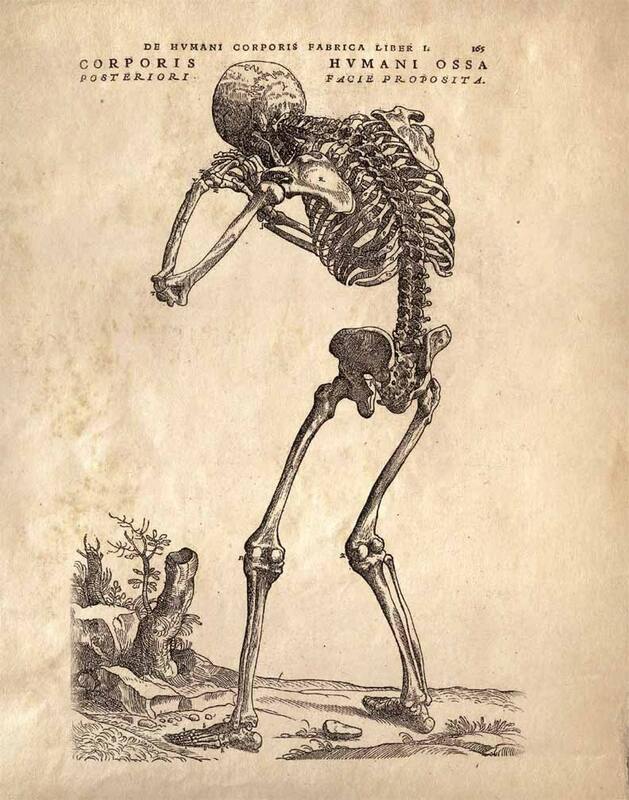 Original art by: Andreas Vesalius (31 December 1514 – 15 October 1564) was an anatomist, physician, and author of one of the most influential books on human anatomy, De humani corporis fabrica (On the Fabric of the Human Body). This print is digitally printed on velvet fine art paper, 100% cotton fiber, acid free, 15 mil. All prints available in 3 sizes: 8x10, 11x14, or 16x20.